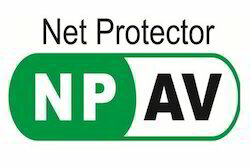 Install Net Protector and use your PC for connecting to various devices safely. Your PC will remain protected from these latest new virus sources, Spywares, Malwares, and Worms. We are currently distributing this product so be assured you will get a good price! PremiumAV antivirus is a trusted antivirus solution from Maya Technologies, it provides a virus hassle free experience to its users! Import and Export Settings You can export your Quick Heal security settings from a single computer and import it to other computers. This is helpful in cases where reinstallations or multiple computer configurations are concerned. Quick Heal Remote Device Management (RDM) The RDM portal lets you manage your Quick Heal products. Sunsharp IT Provide all kinds of Antivirus Solution for Desktops and Laptops at low prices. - Protects your data from data-stealing malware. - Stops unknown threats that traditional antivirus software don’t. - Automatically blocks websites that can infect your PC. Troubleshooting network, server, Printer, desktop and laptop issues. We are doing chip level services in all types of mother Boards etc.